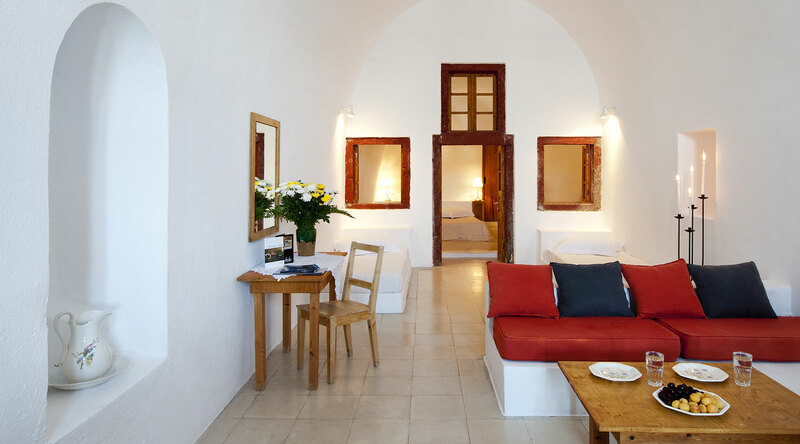 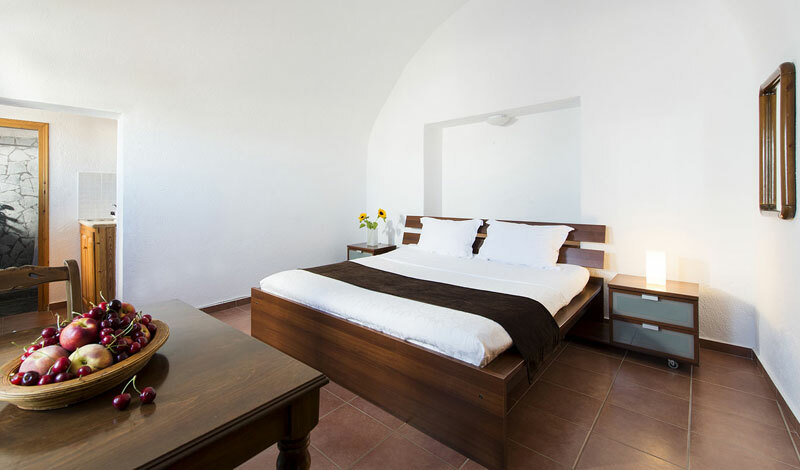 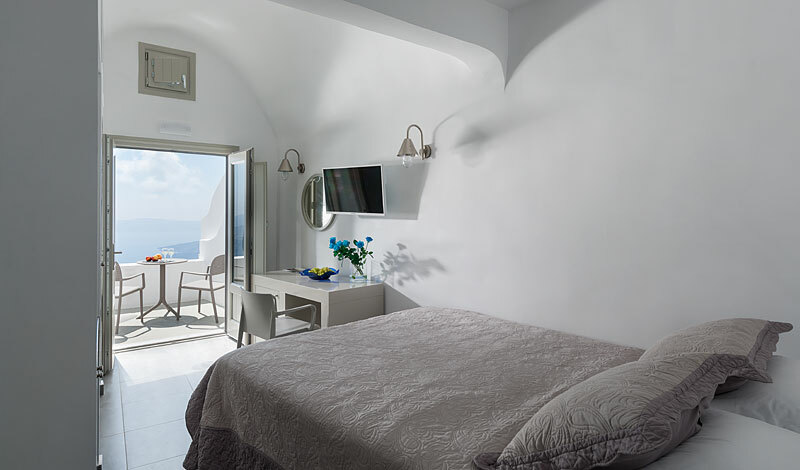 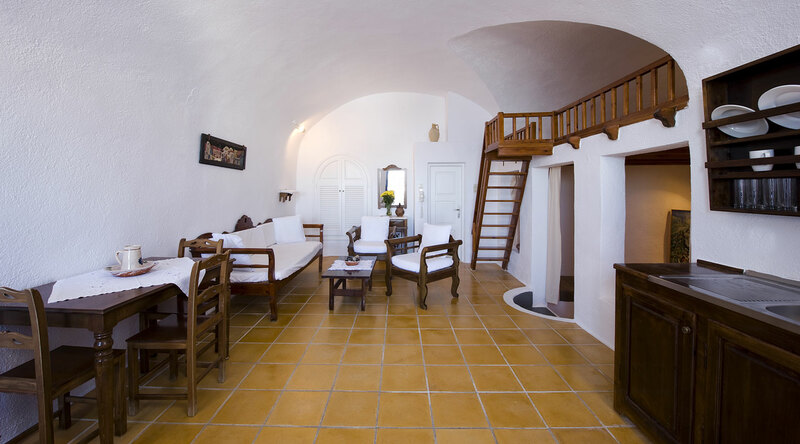 Krokos Cave Suite offers a spacious, traditional accommodation with a bedroom area built in a loft and additional sofa beds that can accommodate two more adults or children downstairs. 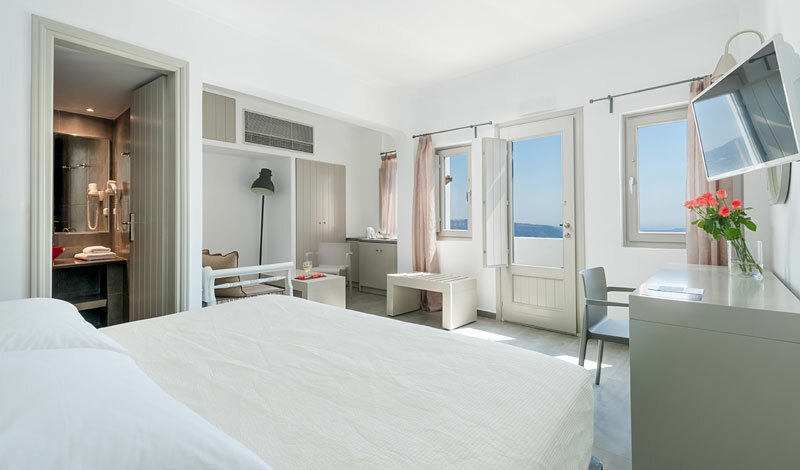 Room is equipped with A/C, flat screen TV with SAT TV, CD/DVD player, safe, hairdryer, dial phone and fully equipped kitchenette with mini fridge. 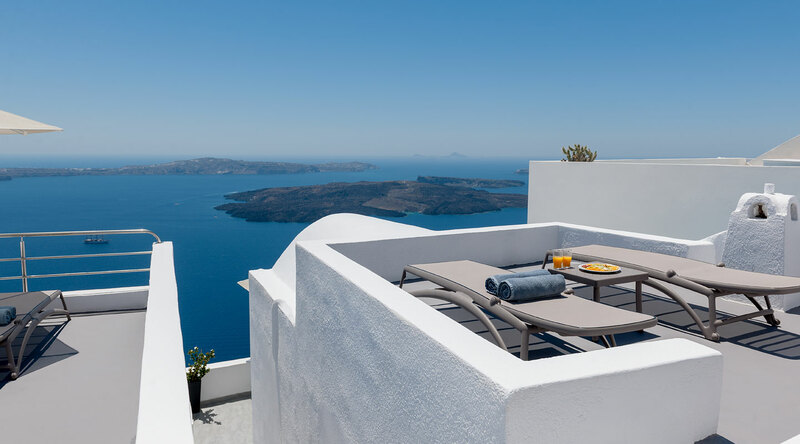 Terrace offers views of the caldera.